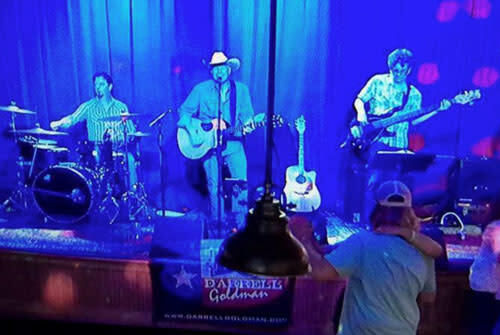 Darrell performs all over Texas. His Texas capitol fans have said that his music is often regarded as "thoughtful." Well, that's the understatement of the year. You see, there are several glimmers of brilliance in the album "The Bed I've Made," which peeks into the love he's thought about for many, many years. That makes Darrell Goldman's debut album a major surprise from a new Country music talent who may very well be leaving his own imprint on Country music with one very well made "bed."